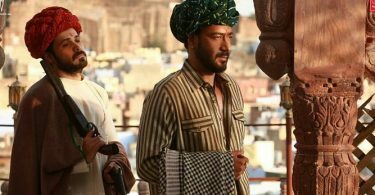 ‘Baadshaho’ has shown good growth in business on its second day, collecting Rs 15.6 crore at the box office. The escalation in business was because of the big holiday for Bakrid. The first weekend business will be around the 42 crore mark. The hold on Monday will decide where the film reaches by the end of its first week. The other release ‘Shubh Mangal Saavdhan’ has shown excellent growth, doubling its business on Saturday. The reports are decent, so the film should hold during the weekdays. IndicineLBO: We expect ‘Baadshaho’ to finish with lifetime business of 73 crore and ‘Shubh Mangal Saavdhan’ could follow the ‘Bareilly Ki Barfi’ trend and wrap with total collections of 28 crore. Inducing will be proved wrong once again. 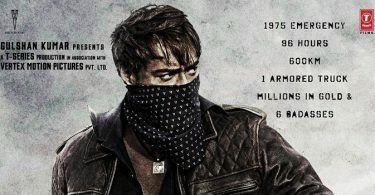 Baadshaho will cross 44 Crore by the end of the first weekend and will do business around 85-90 Crore mark rather than the 73 Crore theyve predicted !! SMS should get around 30 Crores proving to be another small-scale hit for Ayushman Khurana. He should start getting big hits now. so TEPK will be Akshay’s second best in collection. @indicine why so less articles on your site.we readers are highly dissappointed.Look like success is gone in your head. @Indicine, I think Shubh Mangal Saavdhan will chase for the 40 cr mark.. Decent business considering low buzz, so its clear that Ajay sir is a bigger star than Akki. Still Akki fans compare him with Ajay. So far Baadshaho has been trending well. The Monday test would be very crucial. While OUATIM’s collections are expected to be crossed by first week, it would be interesting to see if Baadshaho can cross Emraan’s biggest hit Raaz 3(72 cr). Meanwhile I am very happy for Ayushman Khurana for finally getting the success he deserves. Two hit films in a span of just 2 weeks! Kudos to him. Don’t underestimate the power of ‘GOOD CONTENT”. Don’t underestimate the power of “GOOD CONTENT”. Masses at the single screen theaters just loving the film. The craze is just outstanding! Infact the audience is striving for the full on sitimaar entertainer since Baahubali 2. It takes lot of guts to make a big budget action heist film in the age of multiplex oriented business. The success of Baadshaho will surely encourage other filmmakers to take chance in this genre. Economics of baadshao? Everyone is saying that the budget and marketing total is 80crs. And already 45 is recovered so film is in safe zone for most investors if it reaches 85crs. Meaning average at best. Your take on this Indicine? Guys Which comedy Series you likes most? At 73 cr, will it be a hit?